Below we provide an outline of the key aspects of the General Conditions of Entitlement and how they protect business customers. We summarise first the requirements that benefit all business customers who have bought a phone broadband or mobile service (or are considering such a purchase). We then summarise the additional protections in place for business customers with 10 employees or fewer. For more detail about the scope and application of the general conditions, you should refer to the full text of the general conditions (PDF, 1.1 MB) and the Ofcom policy statements issued when a general condition is made or amended. 9.2 Your provider must provide you with a minimum set of information about the terms of your contract if you request them. Your provider must ensure that the conditions which apply if you terminate your contract don't disincentivise you from changing to a new provider, e.g. through excessive early termination charges. 9.5 Your provider should offer at least one twelve month contract for each service e.g. landline, broadband. 9.6 Your provider should give you at least one month notice of any changes in your contract that are likely to be of 'material detriment' to you. 10 Your provider must publish on its website clear and up to date information on tariffs and pricing for your landline and mobile services. 11 Your provider must bill you for your services accurately. Your provider must offer you an itemised bill on request (either free or at a reasonable charge). 13 If you are having problems paying a bill, your provider must act fairly when it takes action to secure payment or to disconnect you. 18 You should be able to keep your landline or mobile number when changing provider.This condition sets out the rules your provider should follow to enable you to do so. 9.3a Your landline or broadband provider must seek your consent for each new specific minimum contract period, before renewing your contract. 14 Your provider must have complaint handling procedures in place that meet certain minimum standards set out in Ofcom's complaints handling code of practice. Your provider must be a member of an Ofcom-approved ADR scheme and provide you with information to enable you access the scheme. Your provider must not give you misleading information about their products and services when selling services to you. A provider must not engage in 'slamming' (where a customer is transferred to a new provider without their express consent). 22.4, 23.5 Your provider should gain confirmation from you that you intend to enter into a new landline or mobile contract before beginning a contract with you. 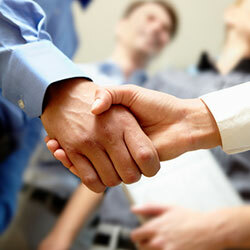 During a contract, your business may change in size, and this may affect the rules and regulations that apply to you. If your business falls below the 10 employee threshold, you may want to have a look at your contract and consider the guidance we set out. As a business, your rights are the same as a residential consumer when you use a universal postal service provided by Royal Mail. Royal Mail is the UK's Designated Universal Service Provider (DUSP). Universal services are subject to specific regulation which means that they are subject to quality of service targets, and compensation for delay, damage and loss. In addition, both business and residential senders of letter mail can use alternative dispute resolution processes (PostRS) if your complaint against the delivery operator is not resolved satisfactorily. If the postal service you use is not a universal service, and you would like to complain, then you need to check your contract terms and contact your provider directly. All postal operators must have a complaints procedure. You can find the details of all the regulatory conditions for postal services on Ofcom's website. The universal postal service excludes bulk mail, so if you receive a discount because of the volume of your mail and/or because you sort it before handing it to Royal Mail, it won't be covered by the regulations that apply to universal postal services. The Unfair Contract Terms Act 1977 imposes certain provisions that relate to businesses e.g. limits on providers seeking to exclude liability for matters such as contract breaches and negligence. The Sale of Goods Act 1979 means that goods you are sold must fit their description, be fit for purpose and be of satisfactory quality. The Supply of Goods and Services Act 1982 states that the goods and services your provider delivers you must be provided with appropriate care and skill within a reasonable time and for a reasonable payment. The Business Protection from Misleading Marketing and Regulations 2008 prohibit misleading business-to-business advertising and impose restrictions on how businesses compare their products to rival products from other companies.